Shock is much more than an emotional outburst of surprise. In fact, physical shock is a life-threatening injury that must be treated right away in order to keep it from spreading throughout the body. When a person is said to be in physical shock, that means he or she is not getting enough blood to vital organs. Restoring normal blood flow as soon as possible is crucial. Shock must be treated immediately to avoid serious damage to the body's internal organs. A person who goes into shock is typically considered to be in critical condition. If you or someone you loved suffered from shock following a car accident in St. Louis, that's a sure sign that the accident caused serious injury. You deserve compensation for your pain and suffering. 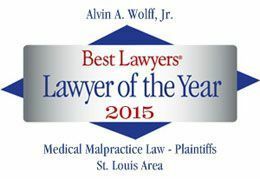 An experienced St. Louis auto accident attorney can help you get compensation to pay those hefty medical bills. For a free consultation or to request your copy of The Guide on How to Pick a Lawyer, call us today at 314-241-2500.